Weapons are everything in Monster Hunter, and with the brand new Monster Hunter World Patch 2.0.0 out in the wild right now, there have been a lot of adjustments to the way weapons work in the game. In this Monster Hunter World Weapon Adjustments guide, we’ll be walking you through all the changes brought about by Patch 2.0.0, as well as examining what each change could mean for your favorite weapon. 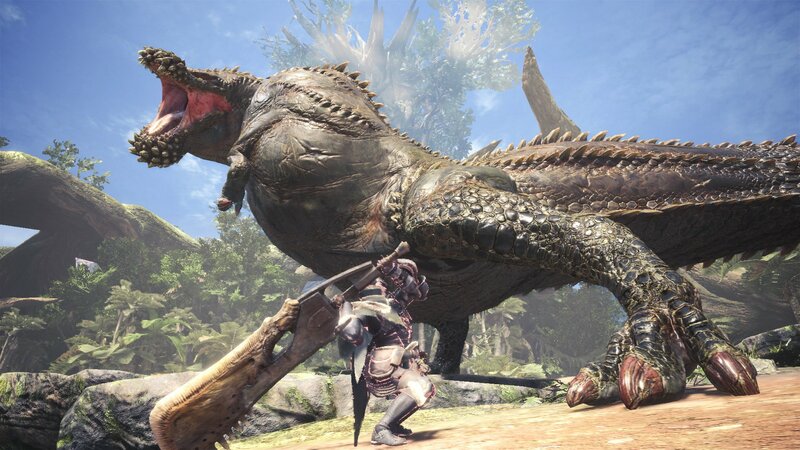 If you need anything else on the wider game of Monster Hunter World, including how to track down and capture monsters quickly using the Shock Trap technique, or how to master all fourteen weapon types throughout the game, head over to our Monster Hunter World guides walkthrough hub. Added option to ‘Kick from Online Session’ to options list. Added ‘Return to Gathering Hub’ option for single player, and ‘Disband and Return to Gathering Hub’ option for online play. Attacks from allies no longer interrupt the carving animation. Slightly reduced the amount that the Scoutfly level decreases after each quest. Greatsword - Increased the damage for Charged Slash abilities for levels two and three. Long Sword - Improvements to Foresight Slash timing and hitbox detection. Sword & Shield - Roundslash damage increased and improved slinger usability. Hammer - Adjusted the stun values on charged attacks (Stun values increased for charged tier two and three). Hunting Horn - General attack power increased (Encore effect for Self Improvement melody now increases attack). Gunlance - Reduced sharpness loss for shelling attacks, increased damage for Wyvern’s Fire and Wyrmstrike Cannon abilities. Switch Axe - Zero Sum Discharge adjusted so it’s easier to use. Charge Blade - Elemental values increased for Power Elemental Phials. Insect Glaive - Improved attack power for Kinsect types, extract effect times increased, extract times no longer decrease while you’re mounting a monster. Lance - Negated temporary knockback during a successful Counter-Thrust attack. Dual Blades - Demon Gauge can now be increased by Demon Mode Roundslashes and Demon Flurry Rush. Bow - Fixed bugs for Dashing Shot and Dragon Piercer. Despite all these changes, none were made to either the Light Bowgun or Heavy Bowgun. Head over to our full Monster Hunter World weapons guide for a complete guide to all fourteen weapon types in the game. But weapon adjustments are the only thing being added to Monster Hunter World in Patch 2.0.0. The brand new Deviljho beast has been set loose throughout various environments in the game, and if you want a guide on how to take down the new creature, as well as which elements it’s powerful and weak against, head over to our Monster Hunter World Deviljho guide.